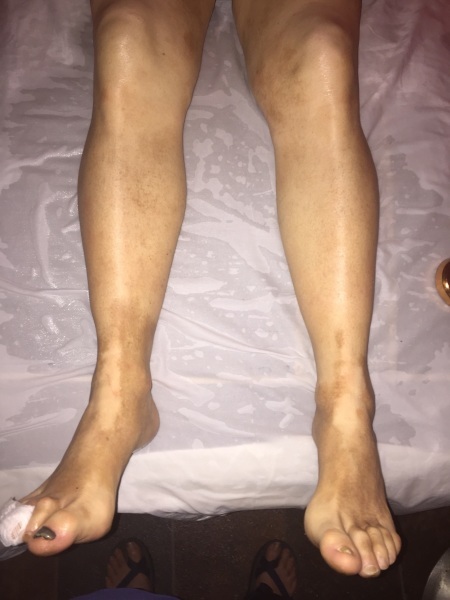 Here I demonstrate through client pictures my unique skill set in reducing swelling, helping clients shed inches, and helping them restore health from serious sickness and injury. The bodywork I do also contains an element of what is commonly known as "psychic surgery' which releases fluids and physical toxins from the body. Some of the fluids that are released are types of "inflammation fluids." Some issuances through the skin are crystals from pinhead to rice size crystals and fibers. Some pieces that resovle through the skin much bigger. I'm one of a handful of people on earth that performs real "psychic surgery." Belief or knowlege about psychic surgery - is not required. Male Client, in his mid 60's came to me with a diagnosis of Advanced Carpal Tunnels Syndrome. The before and after was from three one hour sessions. The customer was unable to hold a pencil when he first came in, and after the third session could shake my hand so hard it hurt. 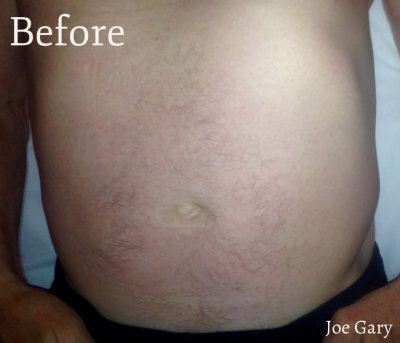 Client was able to avoid surgery and had a dramatic improvement. Male client in his early 70's came to me with severe spinal problems that affected his legs and caused the left leg to swell tremendously. The spinal surgery was performed at Mayo. The client has made an extraordinary recovery. These particular photos demonstrate a type of removal of inflammation fluid and swelling that is "unparalleled." 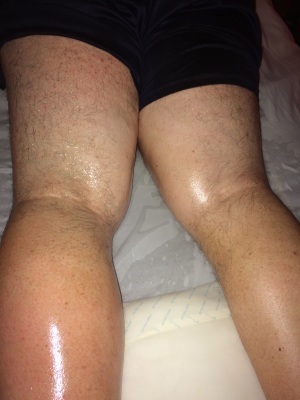 After the swelling is removed the client is able to walk as he says' "much much better." Again, standard massage doesn't do this. Theraputic Relief of Stomach Bloat. 1 hour session. Acupressure. Before. Theraputic Relief of Stomach Bloat. 1 hour session. Acupressure. After. Prepping a client before fusion surgery. Before and After. Removal of swelling. Made the fusion surgery an outstanding success and the client healed at twice the rate expected. Removing inflammation fluid. "The "second neck" from a female client. First session. 1 hour. The only tools I use are my hands. 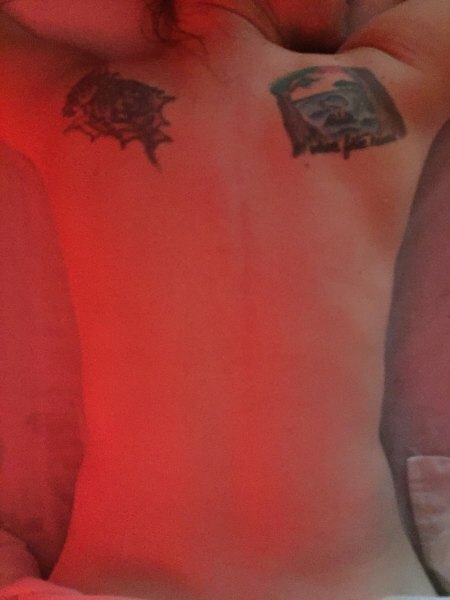 "Theraputic Relief"from Scoliosis. 21 year old male. 1 hour session. 1 session only. 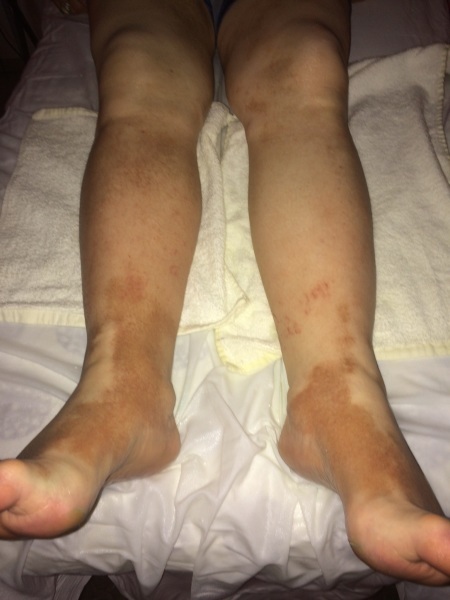 Client has gout and hasn't had an attack of gout in over a year. Client is now off medication. An example of the sweling that commes off from Acurpressure. Theraputic Relief from mild Edema. Before. "After. Theraputic Relief"from mild Edema. Notice the color change. The "skin brightening change and resculpted look." The net loss in body mass after session in meaurable. Theraputic Relief from Scoliosis and Kaiphosis.. 1st session. 1 hour. Theraputic Relief from Takiyatus's Arteritis. Skin brightening using Quantum Capsule. Before and after 1 hour session. Client was in severe chronic pain when she came in. She's since had a 70 percent reduction in pain and says "you've changed my life." Skin Brightening effect. Loss of swelling in face. Reduction in age spots. Smoothing of larger lines and near complete cessation of smaller lines. Puff under eyes gone. 1 40 minute session in Quantum Capsule. After. 1 year ot treaments at Spa Reflexology. Once a week. 1 hour treatments.